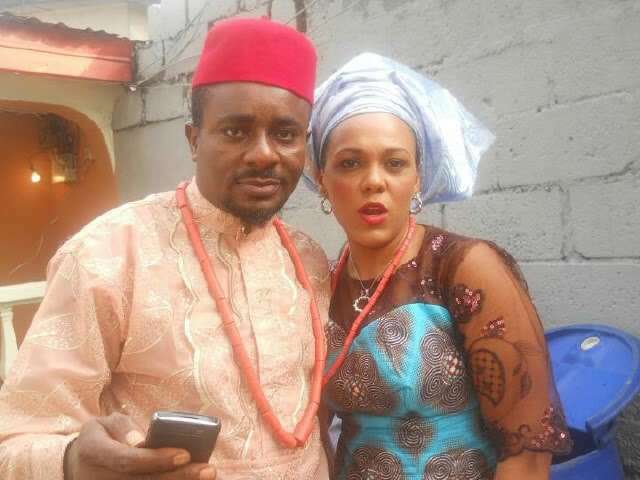 Nollywood actor, Emeka Ike and his wife, Suzanne Emma, have parted ways. A Lagos Island Customary Court, South West Nigeria today dissolved their 17 year-old marriage. The three-man panel presided over by Chief Awo Awosola, dissolved the marriage in a judgment following a petition filed by Suzanne. Other members of the panel of judges were: Mrs. Opeyemi Olanrewaju and Mr Kehinde Jacob Olayinka. The court granted Emeka the custody of the four children, but ordered that Suzanne should be granted unhindered access to them. Either Suzanne or Emeka Ike has 30 days to appeal. Suzanne in the petition filed before the court accused Emeka of incessant beating, molestation, and torture, which she said she could no longer endure. But Emeka in his response denied beating, molesting or torturing his wife. He urged the court not to dissolve the marriage. He also informed the court that his wife had moved out of their matrimonial home five times without any reason. He also told the court that the only time ‘devil’ entered their marriage, was when his wife paid for the children’s school fees. Emeka Ike and his wife, Suzanne Emma, have parted ways. A Lagos Island Customary Court, South West Nigeria today dissolved their 17 year-old marriage.